All of your office furniture serves an important purpose. The right reception area furniture welcomes guests with a relaxing and comfortable environment. The right call center furniture fosters employee productivity while also meeting their safety and comfort needs. So what purpose does executive office furniture serve? A big one. The executive office furniture chosen by today’s most innovative managers can help set the tone for your entire organization. Here’s what you need to know about why executive office furniture matters, along with how to find the very best used executive office furniture. Just as the right manager can lead a company to success, the right office furniture can support his/her efforts in getting there. From an elegant office chair that makes a bold impression for new clients to a conference table spacious enough to fit a whole team or department, these components add up to an inspiring office space. Today’s executive office needs demands unique solutions: the perfect blend of form and function. Can this even be found at a price you can afford? Absolutely, but first you need to know your needs. 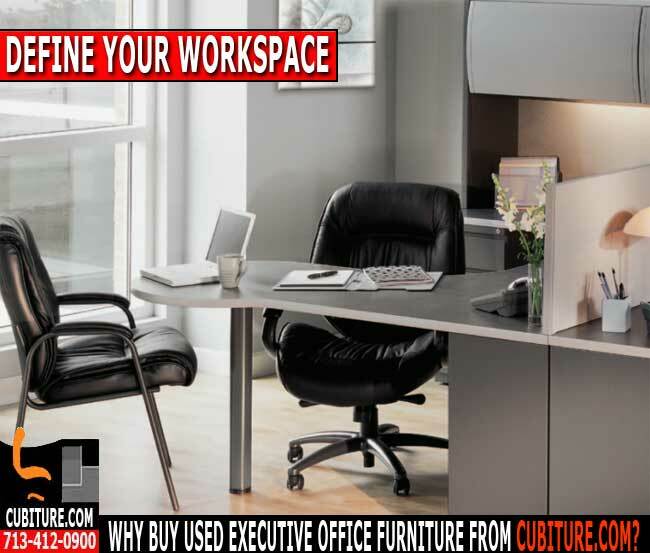 The key to finding great used office furniture for executives is to first analyze and understand your needs. Ideally, this takes place before the shopping process even starts. There are many products available today, and neglecting to do advance research can leave you confused and overwhelmed. Taking time to hone in on your needs in advance, meanwhile, can lead you to a smart starting place. Style: Whether you’re looking for hip and edgy or timelessly classic, your executive furniture sets the tone for your entire office space. Take time to first consider the culture and vibe you want to convey, then choose furniture which echoes this in style. Functionality: The furniture you choose can support or interfere with the work process. For example, do you need privacy for lots of client meetings or is the ability to interact with your employees paramount? Deciding between cubicles with high walls or low walls can fulfill either requirement. Many of today’s office furniture is designed with such needs in mind, so look for features like built-in storage systems, filing cabinets, sound masking and others designed to support the way you work today. Ergonomics: Forget the 40-hour workweek. The average American worker spends approximately 47 hours on the job which is why it’s more important than ever to choose furniture that supports your overall health and well-being. Adjustable furniture made with high-quality materials, along with key accessories, such as task lighting, can not only help you do your job better, but can help keep you healthy in the process. Cost: The cost of furniture varies widely. And while an expensive chair or table isn’t necessarily the best one just because it comes with a high price tag, keep in mind that the better the quality of the materials and design, the longer the lifeline of a particular piece of furniture. One way to reap all of the benefits of upscale office furniture without emptying your business’s bank account is by choosing used or refurbished furniture. Customer service: One of the most important factors in finding the best executive office furniture is selecting a company that supports your needs. Some companies simply sell furniture and leave the rest to you. Others — like Cubiture — offer a full range of products and services designed to help you make the best choice from the very beginning of your search until you’re hard at work at your new executive office desk. Once you understand your needs, it’s time to shop. 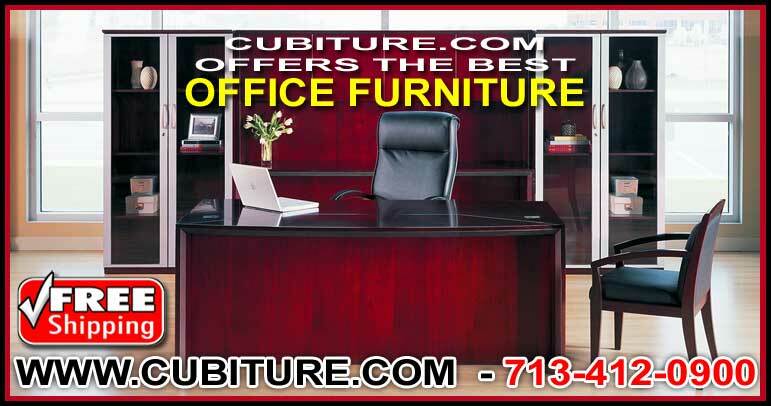 Whether you shop online or in store, look for reputable companies like Cubiture, which specializes in offering the best new and used office furniture both online and at its Houston area store. Not only will you gain access to an extensive inventory, but also to the trained professional staff and stellar services that will make the used executive office furniture shopping process a success.